Gar Pardy, calls for a complete re-evaluation of Western strategy in Syria. Related developments include an impending meeting between President Obama and Russian President Putin this week at the UN in New York and joint efforts by the American administration and the EU to bring Iran into the talks over Syria. After four years of civil war in Syria, it is time for a complete re-evaluation of Western strategy. In the past four years, what was initially a human tragedy has become a catastrophe. That catastrophe is now so large and so far from resolution that there must be a complete and urgent re-assessment of what is achievable, by whom and when. There were three overlapping objectives supporting Western military intervention. First, there was the opportunity for regime change if Syrian President Bashar al-Assad was removed from office. Second was the creation of a united, moderate Syrian opposition force that would see to the overthrow of the president and provide the basis for a successor regime. Lastly, there was the urgent need to check, degrade and eliminate Islamic State forces which dominate large areas of both Syria and Iraq. Four years of war later, Bashar al-Assad is still president and retains and controls significant military forces. The idea of united opposition forces acceptable to the West is more distant today than it was four years ago. The Islamic State, despite attacks from a number of air forces, including Canada, is still secure in large swaths of northern Iraq and continues to expand its dominance in Syria. The hundreds of thousands who have died, the millions who have been seriously wounded and the millions more who in desperation decided it was time to leave the wasteland that is today’s Syria fuels the catastrophe. The catastrophe matches any in history. And it is now without end or hope. The coalition cobbled together by the United States to bomb the land and its people into some form of preconceived Western acceptance, the lack of any willingness by the contending anti-government forces to compromise and the tenacity of the government of Bashar al-Assad to see millions more killed or wounded or forced to leave for other countries is seemingly endless. It is into this desolate landscape that the Russians have decided to act. From the beginning of the civil war and long before, Russia has been a firm and consistent supporter of Bashar al-Assad and his regime. They provided international political legitimacy and military equipment for his armed forces. When cornered on using chemical weapons, Russia put together a scheme to see the removal of those weapons from the country under international inspection and later destruction. The United States and Russia co-operated closely on the complicated exercise. Today the Russians are supplying an even more extensive package of weapons and military support to Assad’s regime. There are two overlapping objectives. The first is to create a stronghold for the regime in western coastal Syria, the traditional home of the Alawites (minority group and Shia related) and the Assad family, the homeland for the regime. This buildup of Russian equipment and possibly specialist troops around Latakia is additional to Russian forces at its longstanding naval base at Tartus on the Mediterranean. These deployments provide the Assad regime with a secure base should it be forced from the capital, Damascus. 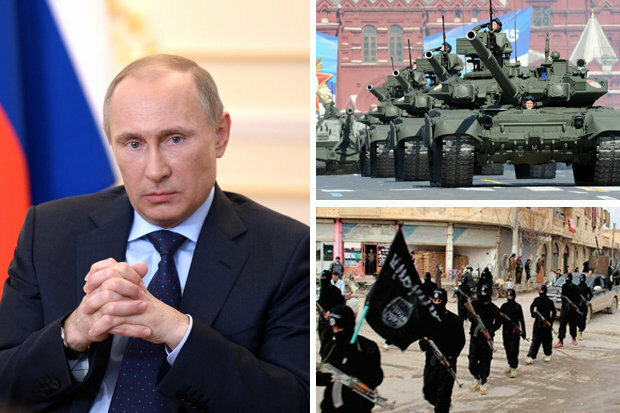 Equally these facilities provide the foundation should Russia decide to dispatch an expeditionary force that could bulk up Assad’s military forces in its fight against the Islamic State and other opposition forces. The Russians have already suggested that, if asked, such troops will be provided. For the United States and other Western (including Canada) and Middle Eastern countries which have joined the coalition against ISIS and in Syria, against the Assad regime itself, it is decision time. The Western and other forces involved in the fight have been underwhelming in their efforts and effect, and it is now clear the future looks bleak for any positive change. The fundamental question now is whether to drop the demand that the Assad regime go before there is any expectation of co-operation among the contending forces for the creation of a successor government. That policy became a dead weight three years ago when it was suggested that the Assad regime stay on for a short period while the details of a successor government were negotiated. The Western military intervention in Libya a few years ago provides a salutatory lesson on the necessity of ensuring a successor regime. Today there are only two significant contending forces on the Syrian battlefield: Islamic State and the Assad regime. There are a few other opposition groups, but they are of little consequence in shaping future policy. The Russians have decided to double down on the Assad regime and it is easy to understand why. Assad and his regime represent the only viable force that, with appropriate assistance and support, could eliminate the Islamic State as a major threat both in Syria and neighbouring Iraq. The initial United States reaction to increased Russian involvement was completely negative. Fortunately, more rational thinking is now emerging in Washington, and there has been a flurry of activity in the past few days suggesting that the US and the Russians can agree on Assad remaining in office while they co-operate militarily in containing and eliminating the threat from Islamic State. The US Secretary of State, John Kerry, who 10 days ago was berating the Russian Foreign Minister Sergey Lavrov on their military action in Syria, is today talking of co-operation. Both militaries have opened a dialogue that was silenced for over a year in reaction to Russian support for Ukrainian separatists. There is even talk Presidents Obama and Putin will meet on the margins of the UN General Assembly. The ultimate test something serious is going on was when Israeli Prime Minister Benjamin Netanyahu rushed off to Moscow. He wanted to ensure Israeli freedom of military action in Syria would not be compromised by increased Russian military involvement and co-operation with the US. Turkey has not been heard from yet in these developments. It has made the removal of Assad a central part of its strategy in Syria. The present confusion allows Ankara to try and settle old scores with the Kurds and hopefully, dominate any successor government in Damascus. Elsewhere, increased co-operation with the Russians in Syria will find firm support in Western Europe, reeling from the hundreds of thousands of refugees planning a new life there. In this, the Ukrainians will be hard pressed to see the levels of political, economic and military support it has had so far continue. Perhaps indirectly, Russian and US co-operation on Syria could force Kyiv to develop its own political solution to the mess on its eastern border with Russia. This article was originally published in Embassy Magazine and is available here (“The Russians are Coming”, Embassy News, 23 September 2015) to all Embassy News subscribers.